L-r: Billy Robertson, Samil Alba and Manny Ayala. Lawrence artist Samil Alba recently brought his mission of inspiring, motivating and uplifting others through his art to the Boys & Girls Club of Lawrence. 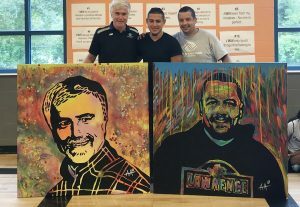 In addition to conducting a free art workshop for youth members, the club alumnus donated his pop art paintings of Director of Operations Billy Robertson and Program Services Director Manny Ayala. Miss Massachusetts, Gabriela Taveras, visits the residents of Ashland Farm. Ashland Farm resident Frank Korycki celebrates his 100th birthday. The new Miss Massachusetts, Lawrence native Gabriela Taveras, recently paid a visit to the Ashland Farm at North Andover assisted living community, where associates and residents presented her with a check for $1,000 for her Children’s Miracle Network charity. The donation was part of Ashland Farm’s annual Radiant Acts of Kindness campaign, which is devoted to showing good old-fashioned kindness and encouraging others in North Andover to do the same. Through the campaign, the community performed a total of over 40 Radiant Acts. 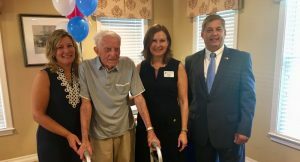 Also at Ashland Farm, resident Frank Korycki marked a century recently alongside Senator Bruce Tarr, North Andover Veteran Services Director Joe LeBlanc, good friends, family and Ashland Farm associates. A longtime resident of the North Andover area and one of the few remaining World War II veterans, Frank spent his 27th birthday enduring the Hiroshima bombing while stationed in Japan. 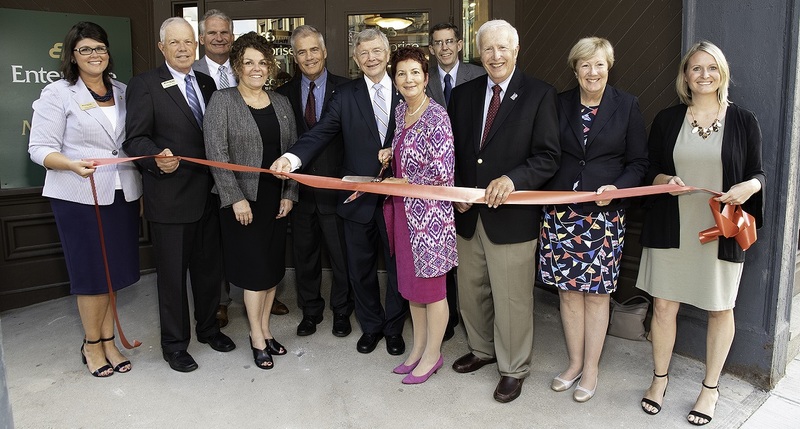 On August 22, more than 120 community leaders, customers and bankers gathered to officially cut the ribbon to dedicate The Mortgage Center at Enterprise Bank’s new office. 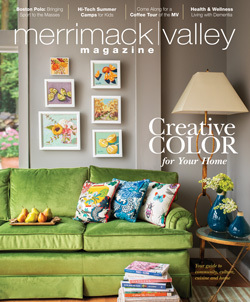 The beautifully renovated street-level office is located at 170 Merrimack Street, at the corner of Merrimack and Palmer Streets. After several months of renovations, the space now serves as a focal point of Enterprise Bank’s downtown Lowell campus. The new location offers a convenient location for customers to meet with the bank’s mortgage team. In addition to the Lowell office, mortgage officers work out of all of Enterprise’s 24 branch locations. Members of the Lawrence Boys & Girls Club with Mitch Moreland and Gary Jaffarian, president and CEO of Jaffarian Volvo Toyota. For more than 20 years, Jaffarian Volvo Toyota has hosted customer appreciation days with baseball greats including Jason Varitek, Mo Vaughn, Carlos Peña, Tim Wakefield, Pedro Martínez, John Valentin, Butch Hobson, Eduardo Rodriguez and Jose Canseco. Recently, Boston Red Sox All-Star Mitch Moreland visited the Volvo Showroom to chat with fans, autograph memorabilia, and share insights about sports and success with the Haverhill and Lawrence Boys & Girls Clubs. 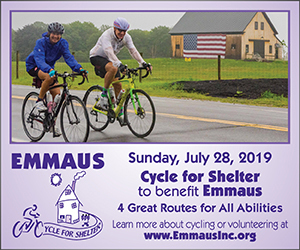 L-r: Gavin Jaffarian, Jaffarian Volvo Sales Manager, Jaime Romero, Director of the Emmaus Family Shelter, and Gary Jaffarian, President and CEO of Jaffarian Volvo Toyota. 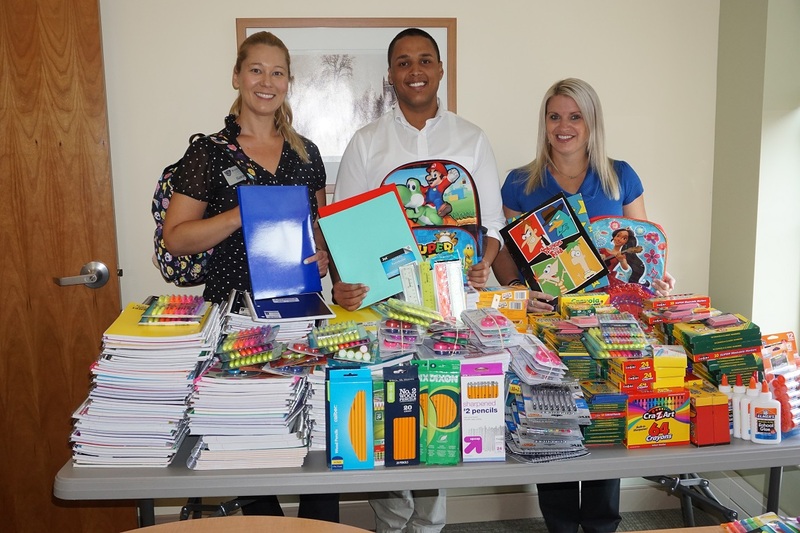 For the third year in a row, the Jaffarian Volvo Toyota staff and customers collected school supplies for the 45 children living at the Emmaus House. Giving back to the community has been a lifelong commitment for several generations of the Jaffarians — it started nearly 100 years ago and continues today. 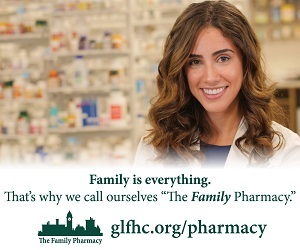 The Jaffarian family is proud to be in partnership with a number of local nonprofits to build stronger communities. L-r: Sara Clarke, payroll specialist; Miguel Duarte, technology operations support specialist; and Kim Fontaine, financial education officer. 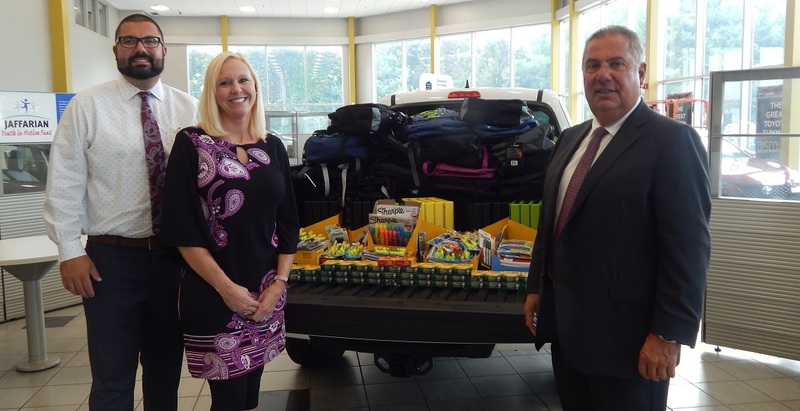 With the help of its generous members and employees, Jeanne D’Arc Credit Union collected over 900 school supply items for the children of the Boys & Girls Club of Greater Lowell and the Boys & Girls Club of Greater Nashua. From July 16 – 27, the Credit Union made boxes available in each of its branch locations for members and employees to make donations. In mid-August, Jeanne D’Arc delivered hundreds of notebooks, markers, crayons, binders, rulers, backpacks and more to both locations. L-r: Board of directors member Marko Duffy; board of directors chair Deborah Hope; Lawrence City Councilor Ana Levy; Scott Cote of Pentucket Bank; Therese Leone of Enterprise Bank; CEO of Princeton Properties, Andrew Chaban; CEO of the Merrimack Valley YMCA, Gary Morelli; Lawrence Mayor Dan Rivera; board of trustees member Mike Mancuso; building committee member Beth Smithson, building committee member Alan Hope; Lawrence YMCA Executive Director Dan Halloran; building committee member Tom Childs; and building committee member Don Schaalman. Lawrence Mayor Dan Rivera has agreed to be the honorary chair for the Merrimack Valley YMCA’s HERE FOR GOOD capital campaign, which is raising funds for the renovation and expansion of the Lawrence YMCA. This expansion project will be transformational for the YMCA and for the greater Lawrence community by allowing the Y to expand services. Merrimack Valley YMCA CEO Gary Morelli says the Y is honored to have the mayor’s support. 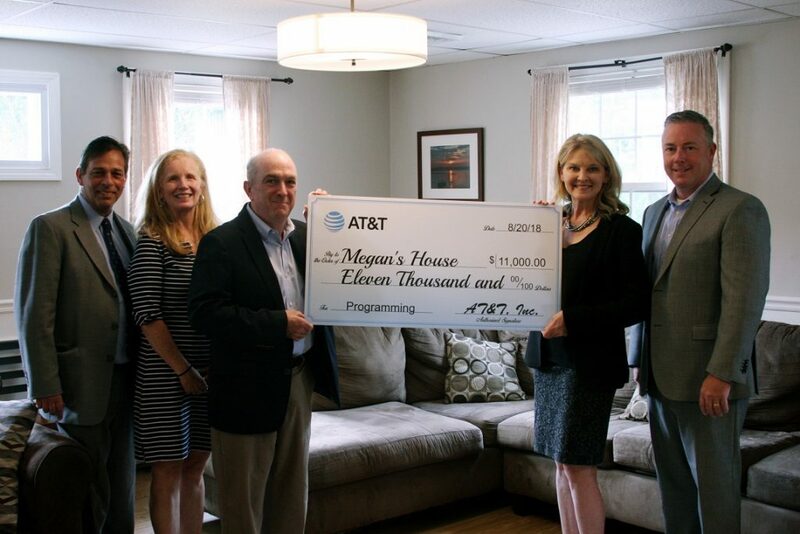 L-r: Megan’s House Founder Tim Grover, Megan’s House Program Director Mary Beth Murphy, Megan’s House Board Member Steve Normandin, President of AT&T New England Patricia Jacobs, Rep. Tom Golden. Lowell Community Health Center (Lowell CHC), a nonprofit health center that serves more than 50,000 people in Greater Lowell, has received a $10,000 targeted grant from Eastern Bank. The grant will allow Lowell CHC bilingual and bicultural community health workers to provide on-the-spot domestic violence outreach and access to care to 500 Cambodian, Hispanic/Latina, and African women in Lowell. It will also support their work informing local businesses frequented by women about domestic violence and supports available. 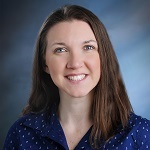 Rebecca Williams has joined Lowell Community Health Center as director of integrated care and case management to advance the health center’s work with the Wellforce Care Plan ACO. In her role, Williams will further develop the health center’s case management and care coordination and support the clinical teams in providing services which improve both care and health outcomes for our highest-risk, highest-utilizer patients. She will also oversee the day-to-day management of the new ACO at the health center, which includes a staff of social workers, nurses and community health workers. Williams previously worked as care coordination manager at St. Joseph Hospital in Nashua, N.H., where she designed, implemented and managed the hospital’s ambulatory care program. 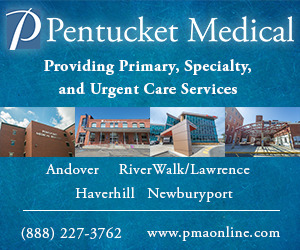 Prior to working at St. Joseph, she served as urgent care staff nurse at Dartmouth-Hitchcock in Nashua.